What can we expect from Ableton Live's new version 9? 1: Live 9's Browser consists of two panels. In the left-hand panel, you select where to look (Places list) or what to look for (Browse list). In the right-hand panel, you'll see the results. When you start typing in the search field at the top, the right-hand panel immediately displays a list of results, and you can refine the search with selections in the Browse list. Ableton have announced Live 9, the first new version of Live in nearly four years, and it appears to be quite an upgrade. In this month's column, we'll have a look at what Live 9 promises and why it matters. 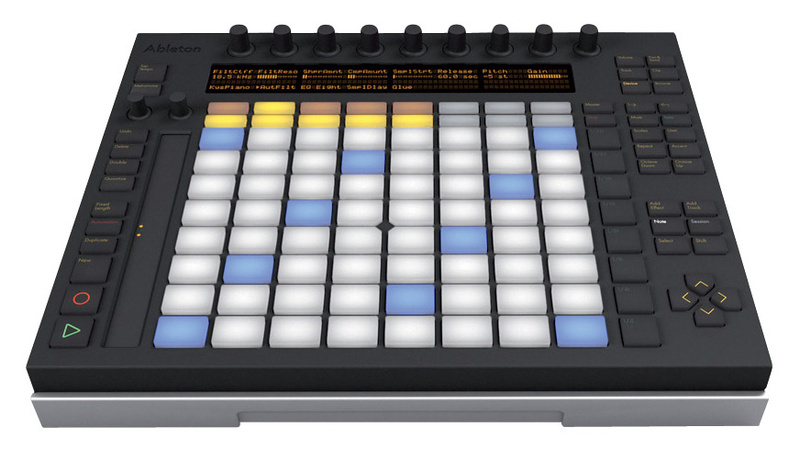 Ableton are also releasing their first in-house-designed hardware control surface, Push, which I cover in the box elsewhere in this article. If you have a wish-list of features you've wanted in Live, chances are that some of them are here. The new dual-panel browser provides easier access to anything in your system and offers full search and audition capability. You can now record automation in Session view clips and it seamlessly transfers to and from Arrangement view tracks. There are numerous enhancements to MIDI and automation editing. The content, especially in Live Suite, appears to be greatly expanded and Suite also now includes Max For Live. You'll find a new compressor, as well as some welcome improvements to several other Live Audio Effects devices. 2: Live 9's EQ Eight, Compressor and Gate (not shown) devices feature enhanced displays and reworked engines. In particular, you can expand EQ Eight's display and manipulate the bands graphically in a variety of new ways. The new Glue Compressor features parallel compression, ultra-fast attack and soft clipping. Live's new browser seems to be significantly improved for finding what you want. The five location tabs in the current browser have been replaced by a new panel divided into 'Browse' and 'Places' sections. The Places section replaces the drop-down bookmarks menu previously used to select locations for the User tabs of the former browser. It lists useful places like Live Packs, the User Library and the current project, as well as any locations you've added. That potentially gives you instant access to anything anywhere in your system. The Browse section lets you select Live Library content by type: samples, clips, devices, and so on. Typing a query into the search field at the top produces a list of matching content in the browser's right-hand panel. You can refine the list by selecting different categories in the Browse section of the left-hand panel. In addition to samples and Live clips, you can now audition instrument presets in the browser. While browsing through Audio Effects devices, you'll notice the new Glue Compressor, developed in conjunction with Cytomic and largely emulating their plug-in, The Glue. Glue Compressor offers parallel compression, attack as fast as .01ms (useful for limiting), a Range control for restricting the amount of compression without affecting the threshold or ratio, soft clipping above -0.5dB and an EQ'ed side-chain input. Three other Audio Effects devices feature major enhancements. EQ Eight has had a filter upgrade and a face-lift. The graphic display pops out just like the Spectrum device's, and it can also display the output spectrum. You can now graphically adjust multiple bands at the same time, audition a single band to optimise its settings, and produce extreme roll-offs with new 48dB high- and low-cut filter choices. Compressor adds parallel compression and now doubles as an expander. The display is enhanced with gain-reduction (showing changes of level over time) and 'input versus output' modes. A gain-reduction display has also been added to the Gate device, and Gate's new Return control lets you eliminate chatter by forcing the gate to remain open until the signal has dropped by a specified amount. 3: Automation in Live 9 can now be recorded (or drawn) on Arrangement view tracks and in Session view clips. In either case, you can now create automation curves, as shown here in a Session view clip, and add and delete breakpoints with a single click. In the MIDI Editor section of the Clip viewer, you'll find a Transposition slider, as well as a variety of note-transformation buttons: Double and Half tempo, Reverse and Invert, Legato and Duplicate Loop. While all those adjustments can be made manually, having them as one-click options will certainly speed up your workflow. Each process applies to the selected notes, or to all notes, if none are selected. That will be especially handy for processes like legato that you might want to apply to, say, the melody but not the rest of the notes. Note Stretch works as before, letting you stretch or shrink a selected group of notes, or even reverse them, by dragging markers at either end of the selection. However, Note Stretch now also applies to the portion of any automation within the same range, and you can apply it to automation without affecting notes. One of the most intriguing new editing features is the ability to convert audio to MIDI. Three audio conversion algorithms — Melody, Harmony and Drums — augment the current Slice to New MIDI Track option. These presumably recognise transients separating events and then, instead of simply slicing the audio, ferret out notes, chords or drum sounds to create a new MIDI clip. If you've worked with pitch-recognition software such as Celemony Melodyne, you know how tricky this process can be, and it will be fascinating to see how Live 9 handles it. It has the potential to give new life to your own recordings, as well as to your library of audio clips. 4: Designed for composition and performance, the Ableton-designed Push control surface from Akai combines clip launching, device control, drum pads and a clever keyboard simulation for performance and step-sequencing. 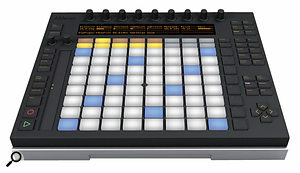 Live 9 and Push (see below) are due to be available in the first quarter of 2013. Prices for the download versions of Live are $99€79 for Live 9 Intro, $449€349 for Live 9 Standard and $749€599 for Live 9 Suite. Upgrade pricing is available and depends on your current version, but until Live 9 is released, you can purchase any version of Live 8 at a 25 percent discount and get a free upgrade to Live 9. For more details, check out the redesigned Ableton web site (www.ableton.com), where you'll also find some excellent Live 9 and Push videos. Push ($599€499) is a new Akai control surface designed by Ableton especially for Live 9. It is intended to take you beyond the functionality of existing control surfaces like the Akai APC40 and Novation Launchpad, in which the pad matrix (8x8 for Push) is primarily for launching clips. Push sports an LCD screen to at least partially free you from your computer screen, and, in addition to clip launching, it features drum-pad, keyboard emulation and step-sequencing pad modes to enhance its use as a composition and performance tool. You'll also find transport controls, a variety of mode buttons, an LED ribbon controller and 11 rotary encoders. From the information available, I would liken Push's role with Live to the Maschine control surface's role with Native Instruments' Maschine software. For drum sequencing, the 16 pads in the bottom-left quadrant function as normal drum pads, you set the loop length in the bottom-right quadrant and you step-sequence the pattern for the last drum pad played using the 32 pads in the top half of the matrix. Other enhanced performance modes — auto-repeat, for example — are available, and the pads are velocity and pressure sensitive. In chromatic keyboard-emulation mode, the pads step horizontally by semitones and vertically by Perfect Fourths. Notes in an octave relationship to the root note are coloured blue, creating the diagonal pattern shown in picture 4. Notes in the chosen scale are coloured white and the other pads remain unlit. Alternatively, you can choose to have all pads mapped to scale tones. The two rows of smaller buttons at the top select the scale and root. The eight encoders above the LCD display control parameters for the selected instrument or effect, and, of course, you can use them to record automation. The encoders and display also double as a browser, again freeing you from your computer.